If you are really willing to join the reputed Banking Sector and want to become a Banker by the end of 2019, it is really necessary to devise a proper strategy and work accordingly to scale Bank Exams. With SBI escalating the level of competition of paper in 2018 through SBI PO 2018 and SBI Clerk 2018, it is really important to get acquainted with the latest exam pattern of Bank Exams and not fall behind your competitors. Practice through Online Banking Mock Test Series and know your strengths and weaknesses. Go for Correspondence Courses to enhance your skills and accelerate your preparation for Bank Exams. Always focus on the Syllabus of the Bank Exam you are appearing for. Time management and Accuracy are two key factors that you should keep in mind while preparing for Bank Exams 2019. 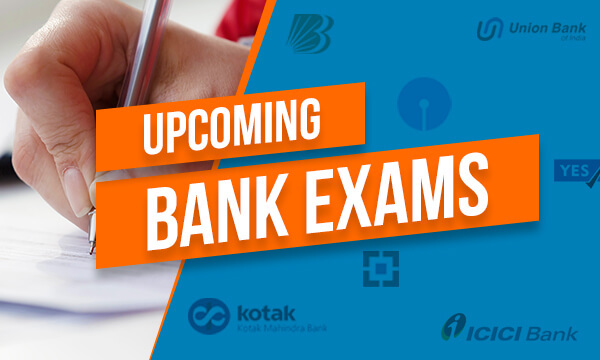 So, buckle up and start your extensive preparation for Bank Exams 2019 today! Keeping in mind Bank Exams 2019, we are launching various Test Series, Classroom Programs and Video Courses to guide you through your preparations.